For those who do not want to go on a Slovenia Tour road trip and change hotel every night, staying in Ljubljana for a few days is a great option. The city is very enjoyable without nice walks and restaurants. And, as you will see, there are great options for one day tours from Ljubljana that don't requires a lot of driving. Let's start with a classic. Ljubljana to Lake Bled is a short an easy drive to be able to admire what is consider the jewel of the country, a small lake with intense colors, mountains, a castle on a precipice as well as a charming small island. If you plan on staying more than one day, check out my Guide of things to do in Lake Bled. Option 2 - Overview of the region - First stop at Vintgar Gorge to complete the walk. Then head to lake Bled, discover the views from the castle. Skip the boat and head to Lake Bohinj. Enjoy the views and head to the other end to climb to the Savica Waterfall. I found a day tour where the programs give you a great overview of the region with a little bit of each location: views of lake Bled from the castle and from a boat, Vintgar gorge plus views of Lake Bohinj. And on the way back to the capital you even stop at the scenic medieval village of Skofja Loka. Slovenia is home to many magnificent karst caves. The 2 most famous caves are Postojna with easy access thanks a a train system and the Skocjan caves, which are listed on the Unesco World Heritage list. And in the same region you can also visit the well-preserve cave castle of Predjama. The Unesco caves of Skocjan - less decorated but very impressive in terms of size with a canyon and river. On one of the walk, you will walk on a bridge above the precipice! Predjama the best preserved cave castle in the world. Build above and in front of a cave, it was perfect for defense but not so good for comfort of life. Then head to Predjama castle which is just 15minutes away - explore the structure and how it fits inside the rock. There are not many options departing Ljubljana for that one. Most of them are combined with the Lipica Stud farm and its museum. It is really worth it to discover these impressive caves! Towering peaks, trees, river, lakes... the Soca Valley is the 1000 shades of green area. A little bit further to the West, I think it is really worth the longer drive! To the south of Slovenia, is the small coast (under 50km). There you can visit the harbour town of Koper, the fishing village of Izola or the most famous old town: Piran. Located on a peninsula, it had a vibrant history around salt trade and was protected by fortifications, which offer today one of the best views in Slovenia. Drive to Piran, park at the big parking lot outside the town and take the shuttle to reach inside - walk along the river, discover the Venitian houses, climb to the church and explore the fortification walls - plus enjoy some great seafood! If you are interested, you can also make a detour to see the salt pans on the other side of Portoroz. On this day tour from Ljubljana, you will enjoy the morning in Piran and discover the best of the Slovenian coast later in the day including Izola and Koper. And don't forget to purchase Travel Insurance! I wish you a very smooth trip, but my policy is: better be prepared. Idrija is the other Unesco site of Slovenia. Not as famous but quite fascinating. The 16th century Gewerkenegg Castle uphill from the town center. Visit this great building that has been turned into a museum. The team is really nice and happy to answer all your questions. They provide a lot of documents to accompany your visit. There are sections about mercury, mining, war history as well as the lace culture and industry that developed in the region. Anthony's Shaft which has been dug in the 16th century where droplets of Mercury where found. Inside you will learn about mining methods and life around it. Visit the museum to learn about the mercury mines, their management and administration. You can even realise the weight. Then head down inside the old shaft where you will learn about the working conditions and tools. Slovenia has several regions producing wine. To the South in Brda around Smatno and Dobrovno as well as towards the East aournd Ptuj and Maribor where the landscape is less mountainous. Robanov Kot is the valley just South of. Not as well known but with also a lot of charm (and free entry). You can't drive to the end, you would have to choose to walk. Solcavska Panoramic road is being developed for tourist. It is a small road leading to higher grounds with fantastic views and lots of traditional farms to visit. En route to the Logar Valley, you can stop in the charming town of Kamnik and get to the ruins of the old castle for great views. Enter Logarska Dolina and admire the open view. You can walk along the river or continue to the end where you can complete a 15min steep ascent to the Rinka Waterfall. 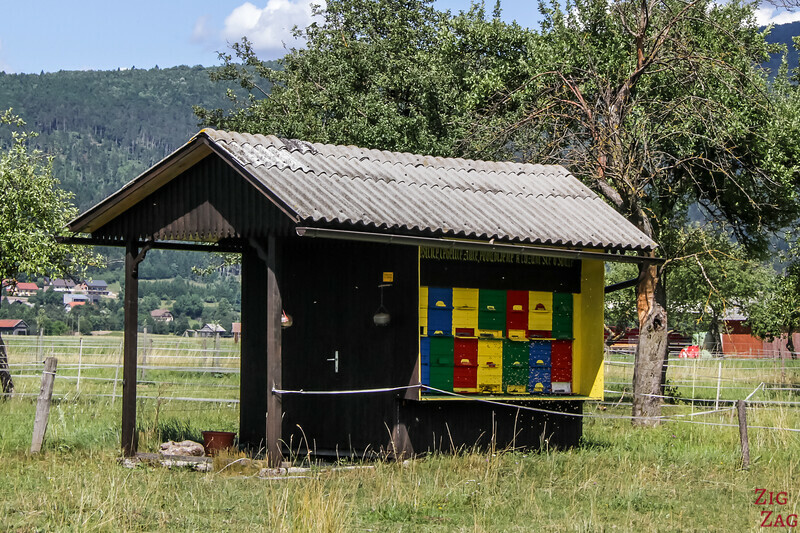 Check out this tour to the Logar Valley: once you have selected the date you can choose a pick up either from Bled or from Ljubljana. Want to discover more than Slovenia. Venise is only 2h30 hours away, so it is possible to enjoy an introduction to the famous water city. 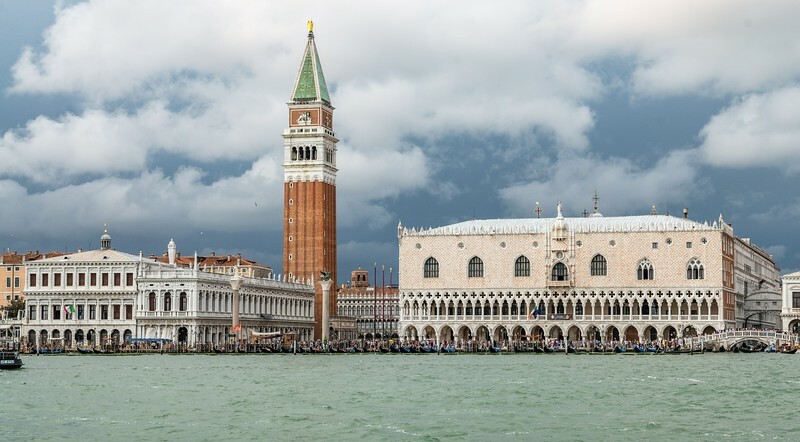 To avoid complication with the rental car, it might be easier to book a driver/guide that will organise everything and you cant rest in the car and arrive refreshed to explore venice! Do you enjoy cities? Well You can head East to visit both Maribor, the second town in Slovenia and Ptuj the oldest recorded town in Slovenia. Just be aware that Maribor is an acquired taste. It does not have the same charme and atmosphere of Ljubljana. This first impression is often not that good but once you walk around, you start understanding its appeal. Give it a chance! Ptuj is a charming old medieval town. Its castle it not the best in terms of architecture but it houses a great museum and from the grounds you can enjoy great views of the town. Drive to Ptuj, enjoy its charming center, climb to the castle and explore the museum. Don't miss the collection of musical instruments! This organized tour takes you to Maribor, Ptuj and the charming wine region of Jerezalem. Note: Some reviews are not that good but not because of the tour itself, rather because people don't enjoy Maribor. As I said before, it is an acquired taste. And check out my list of 23 great things to do in Ljubljana ! In order to bring you better information, I performed surprised visits to hotels in the hours between guest to be able to visit hotels, check out the staff and the rooms. I had selected 6 hotels that had ratings given by guests above 9/10. And I am introducing 5 of them to you (since I was very poorly received at the last one and was not able to visit it). Located in the pedestrian streets of Ljubljana, it is close to all the attractions. It is set up in an old Buildings typical of the area. So it is quite fun to navigate inside with all the corridors and staircases. Staff was really welcoming and charming, decor was well designed with a great cocooning effect. One of the room even has its own terrace. Loved it! Located just outside of the pedestrian area, so with easy access to all attractions, the Cubo hotel is modern with lots of light in the rooms. Many of them have views of the castle. Staff was warm and keen to help. I stayed a long time in the lobby because, of course, arriving guests had priority over my surprised visit to I was able to see how they were taken care of and it was great. For a good price hotel very close to all the attractions (just at the limit of the pedestrian area), I recommend the Adora Hotel. The value for money is really good. Rooms are simple, clean and bright. All you need for a good night sleep. I had the opportunity to chat a little with the staff. They were very helpful and friendly. Located not far from the Skyscraper building, the Urban Hotel is a practical option with good value for money, modern design and spacious rooms. Here as well, staff and manager were really friendly and welcoming. Want a fun night in Ljubljana, head to the Prison Hostel. You read right. It used to be a prison. One floor haas traditional bunker beds dormitories. But the best options is the sleep in one of the cells. They have all been decorated by different artists and look very different. The common area are also very nice to relax and discuss. Which ones would you like to do?